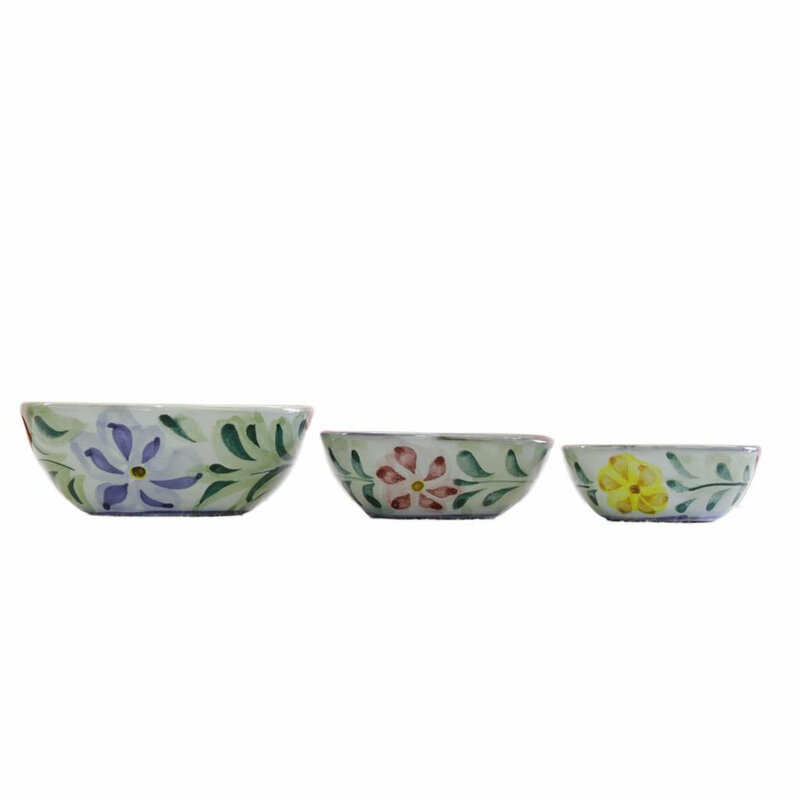 These three stackable bowls make a perfect gift and are a great way to introduce a friend or relative to the world of quality, hand-made earthenware pottery. This is our most colourful and vibrant design with flowers in shades of yellow, red and blue. The leaves and stems are in complementary shades of green. This pattern is inspired by summer days and is sure to brighten up any home and to be very friendly and inviting on a summer’s day.